Legendary illustrator Lane Smith takes us on a colourful adventure through the natural world, following a child as he weaves through the jungle, dives under the ocean and soars into the sky. Along the way he makes friends and causes mischief with a dazzling array of creatures both large and small - but can he find his own kind? 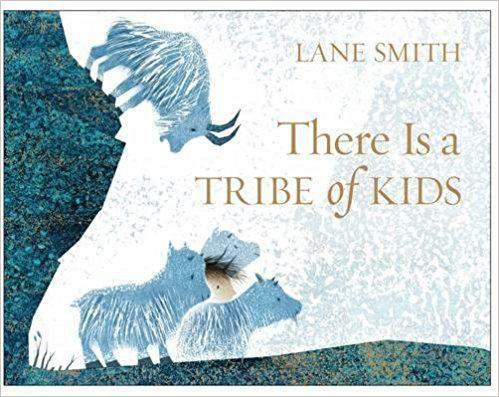 Full of warmth and humour, There Is a Tribe of Kids is a sumptuously detailed portrayal of wild childhood to be pored over for hours on end. A witty and playful exploration of curiosity, discovery and what it means to belong, ideal for sharing with children of all ages. Sprinkled with beautiful gold flecks and specially designed peek-through flaps at the front and back.